Cascade Cart Solutions is a symbol of excellence in residential carts. Our carts have performed in the industry since 1989, and are compatible with all ANSI approved semi and fully automated lift systems. Backed with a 10 year warranty, Cascade’s carts are guaranteed to the highest standards, meeting or exceeding all ANSI requirements for safety, compatibility, and performance. With the ICON Series from Cascade Cart Solutions you will get a product that is designed for exceptional performance, durability and functionality. The ICON Series is available in five different sizes – 96 gallon (Universal and Automated), 64 gallon (Universal), 35 gallon (Universal) and our newest member, the 32 gallon (Universal). Every ICON Series cart is now a SmartCart® outfitted with the Xtreme Tag® brand of radio frequency identification (RFID) tags. Xtreme Tags are encapsulated RFID tags designed to withstand harsh environments and function in a wide range of temperatures. Whether you’re looking to implement technology at this point or not, the ICON Series cart comes with the infrastructure in place to take your program to zero waste. Every cart shipped out of our facility contains recycled content. We incorporate recycled content into our products to reduce material consumption, working to create a closed loop system where products are recycled at the end of their useful life and made into something new. The use of recycled content in our carts is comprehensive, as we maximize the recycled content used without impacting the appearance or durability of the cart. 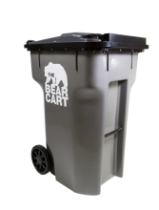 For an even more eco-friendly cart option, visit our EcoCart® page. Wastequip compactors are simply the best compactors in the industry. Retailers, warehouses, supermarkets and other institutions depend on reliable waste handling equipment and Wastequip compactors deliver year after year. Designed with both the operator and service technician in mind, Wastequip compactors are safe and simple to operate while also being easy to service. Wastequip is the only company to offer the Guardian, the only power unit you’ll ever need. It works with all brands of compactors and features two watch dog timers to prevent unintended operation that can result in motor burnout. A Wastequip compactor allows your business to reduce the size and volume of waste material through compressing and crushing. This reduces the number of hauls which lowers collection costs. Wastequip compactors prevent unauthorized access or disposal of material by ensuring waste and recyclables are contained. This improves both safety and appearance. The Town of Natick, Massachusetts was first settled in 1651 and later incorporated as a Town in 1781. 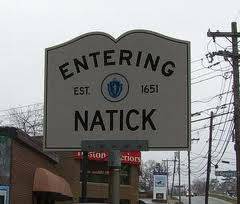 Natick’s roughly 16 square miles is home to an estimated 31,975 people and located 15 miles west of Boston. The Town of Natick started its curbside recycling collection program in 1995. The Town offers curbside refuse and recycling collection services to approximately 63% of their households. The collection service is offered to all 1-4 family households but excludes condominiums. The Town also has a drop off recycling facility which is available to all Natick residents, business, institutions and commercial operations. The Town of Natick implemented a Pay-As-You-Throw Program on July 1, 2003 after a Town vote and much public discussion. All household trash must be disposed of in special Town supplied blue trash bags available for purchase at retail locations throughout town including supermarkets and convenience stores. Trash must be set out in the specially purchased Town bags or it will not be collected by the Town. Last year the Contractor for the Town collected approximately 3,400 tons of curbside recyclable materials from approximately 8,200 households, the equivalent of about 800 pounds collected per household served. Currently the Contractor picks up the curbside recyclables every other week on the same day as the trash pickup. 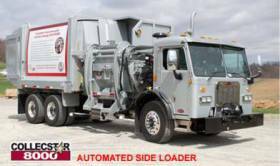 A/J Equipment is paving the way with automated trash trucks. A/J Equipment Repair has been paving the way for automated trucks. Contact us to find out why more and more companies are switching. We think you will agree, the CollecStar 8000 is the most simple to maintain, energy efficient, and highly productive Automated Side Loader (ASL) on the market. Our engineers have obtained data from owners, mechanics, operators, and other refuse professionals to determine what makes a great ASL. We have thoroughly reviewed this information and incorporated it into what we believe is the best ASL in today's market. computer control of lift or packer. Our unique body is designed to collect more and meet legal payloads. It's also designed for safe and easy uploading and is available in a variety of sizes from 20 to 37 yard capacities. Mike DelPrete and Sons is a local family owned and run company. We have been in business for more that 20 years. Our goal is to provide quality dependable service for all of our customers. We service the south shore of Massachusetts and beyond. All three of Mike's children Mike Jr., Chris, and Angela are involved in the daily operations of the company. 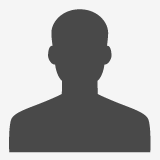 Mike's current location is in Rockland, MA. We have grown over the years and now employ about 30 employees and operate more than 20 trucks.